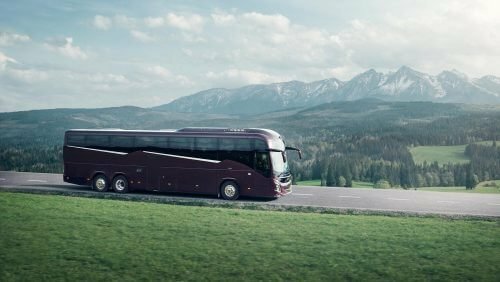 Volvo’s new 9000 series of coaches has been awarded the title of Coach of the Year at a ceremony in Madrid, Spain. At the prize giving, held on 23 January, judges commended the 9000 series on its comfort levels, safety, drivability and productivity. Spanish travel magazine Revista Viajeros runs the annual awards event, which recognises the stand-out industrial vehicles offered in the Spanish market. Winners are selected by a jury of operators and industry professionals, including associations, authorities, manufacturers and travel agents.